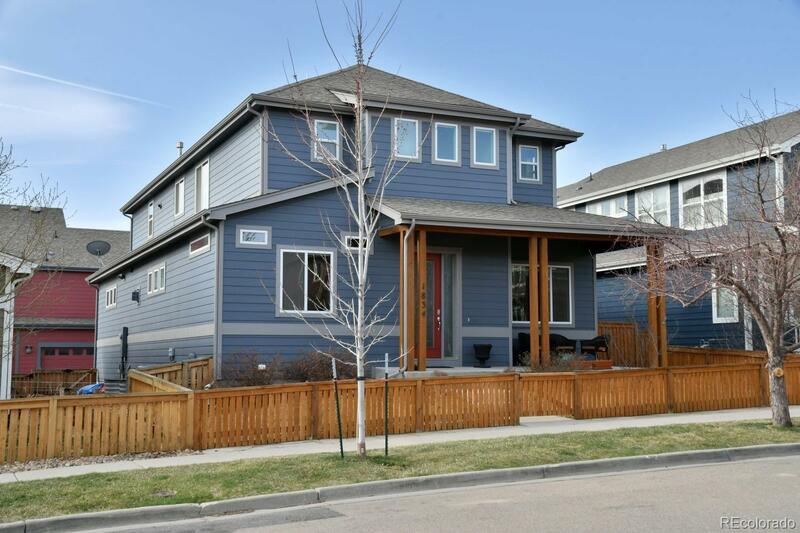 Gorgeous 4BD, 4BA home in North Boulder that backs up to pocket park w/views of Flatirons! Spacious open floor plan with tall ceilings, wood floors, stainless appliances and slab granite countertops. Master bath has tankless water heater and steam shower. Home equipped with 2 furnaces and 2 air conditioners. Large finished basement w/great room, bedroom and full bath. Walk to parks, Spruce Confections, Proto's Pizza, Bacco, bus stop 1 block away. A must see!